Welcome to the JVNP 2.0 Update featuring a JV request courtesy of fellow JVNP 2.0 Partner John Assaraf (NeuroGym – Cloning of Business Success Course high ticket launch affiliate program JV invite), Buzz Builders (Celeste Bennett + KC Yap – The Clean Eating Playbook launch) and More … in Today’s business success clone zone edition. This July we have a big event you might be interested in promoting that was a massive success the last time we ran it. We are hosting a series of two live trainings to promote our Cloning of Business Success Course($1,495). 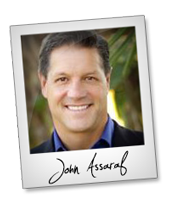 On July 8th John Assaraf will be hosting a free, live two hour Q&A session. Once people sign up for this event, they will automatically be added to the Cloning of Business Success Funnel. This is a great event that your audience will get a ton of value from – John will be sharing his best business building secrets and will answer any question your subscribers have. Then on July 12th, John will be hosting the Live Event called How To Grow Your Business From $100,000 to $1 Million. He’ll reveal his step by step blueprint that’s helped him grow seven multi-million dollar per year businesses and help thousands of his students grow their businesses as well. The Cloning of Business Success Course is a high ticket course that sells for $1,495. Our past customers rave about how much value they got from going through this course, and we have hundreds of testimonials to prove it. We are in the process of updating the partner portal, so please register as an affiliate and we will send a subsequent email when the CoBSC launch promo tools are available. We also have a new Choose Your Own Adventure (CYOA) offer that includes our new Cloning of Business Success Course, Winning The Game of Money Course, and Winning The Game of Fear Course. This is in addition to the existing CYOA with Money, Weight Loss and Fear. If you feel like your list would benefit from that offer more than just sending them straight into the Cloning of Business Success Funnel, then feel free to send them to this new, updated CYOA offer … coming soon to the partner portal. Please register as an affiliate now, check out the active promotions we have available and we’ll contact you as soon as the CoBSC promo tools are ready. iGloo is a product designed to give entrepreneurs business owners & online companies a platform to successfully launch products & services on the web. Josh Ratta – iGloo App JV page. Why You Should Promote Niche Profit Full Control Evergreen: You earn $750 per sale (and yes, we have a payment plan). Extremely high-quality, never-before-seen product. Over 1500 Units sold for the original launch. We reciprocate. Our last five launches have led to over $6.5 Million in affiliate payouts … and this is the highest converting offer yet! Adam Short + Robert Mclees – Niche Profit Full Control Evergreen affiliate registration page. 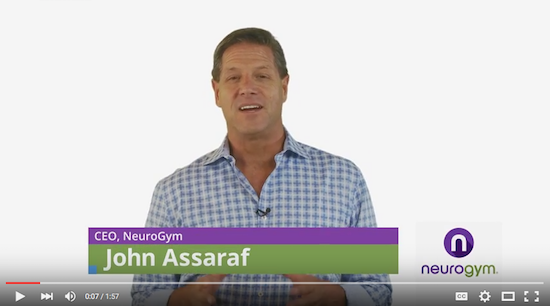 Here’s why you can’t miss this event on June 20th: On this very date we are launching a life changing health product that is going to drive you incredible sales, and bring new change for the weight loss niche. With over $8,000 In prizes. Celeste Bennett + KC Yap – The Clean Eating Playbook JV page. Viddyoze 2.0 is coming… Get ready to bank with the world’s most powerful automated animation engine. Viddyoze has been totally revamped with brand new features that your customers will love! Proven 6 figure sales funnel. Over 20k in cash prizes. HUGE conversion rates, MASSIVE EPCs & genuine 5 figure pay days. Want a piece of the pie? Get on board here => Joey Xoto, Jamie Garside + David Chamberlain – Viddyoze 2.0 JV page. Noah St John – 6 Figure Business Machine Launch. June 28th to July 15th – 40% commission on $997.00 product – $30K JV contest – Top sales prize $10K. Be a HERO to your followers… We look forward to sending you nice big commission checks! Noah St John – 6 Figure Business Machine JV page. Recommended by Michael Cheney: “It’s rare to find a program which takes you directly to the money on Facebook, uses a method which is proven to work and is delivered in a way which is fun to learn and fast to implement. FB Prospector does all of this and more.” … Iva Embley – FB Prospector JV page.